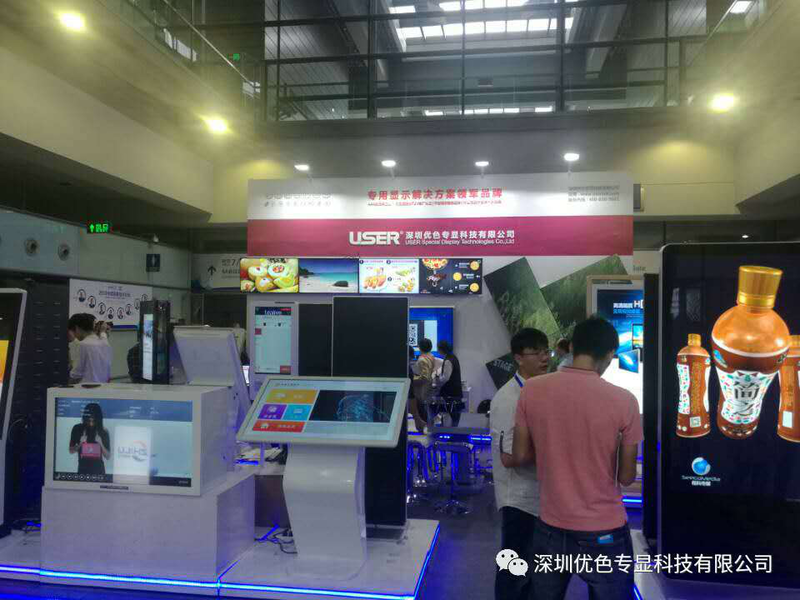 USER Showed in : 2018 CHINA HI-TECH FAIR - USER Special Display Technologies Co., Ltd.
During The China High-Tech Fair 2018, Shenzhen USER Special Display Technology Co., Limited was putting forth every effort to demonstrate latest technologies, innovation and products, with an aim to increase presence in these markets and expand cooperation with foreign counterparts. 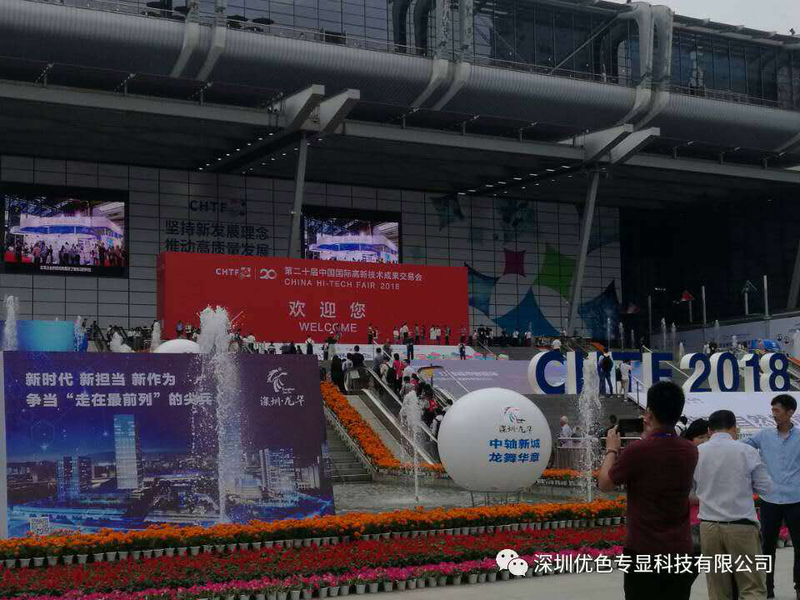 The fair takes place in Shenzhen Convention & Exhibition Center between November 14 and 18. Many such new and high-tech products made by USER SDT have become star products, attracting a large number of business representatives from home and abroad. In particular, technologies and products involving hologram machines, 3D digital signages, monitors, special LCDs and advanced transparent LCDs are being welcomed by both foreign and domestic business representatives at the CHTF. CHTF not only demonstrates China's and the whole world's great achievements and the latest development trends in new and high-tech industries, but has also become a platform for Sino-foreign high-tech companies to expand exchange and cooperation, and is playing an increasingly important role in the country's high-tech industrial development and the promotion of Sino-foreign cooperation and exchanges. 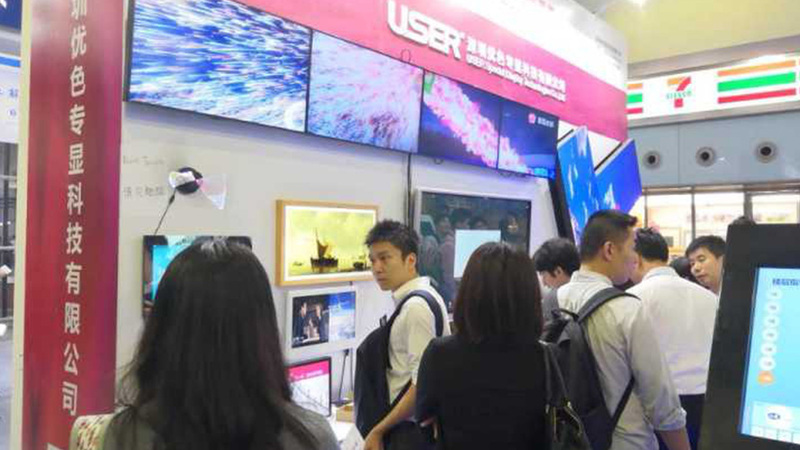 In our exhibition booth of 10B37-40, we displayed many new advanced LCD equipments. 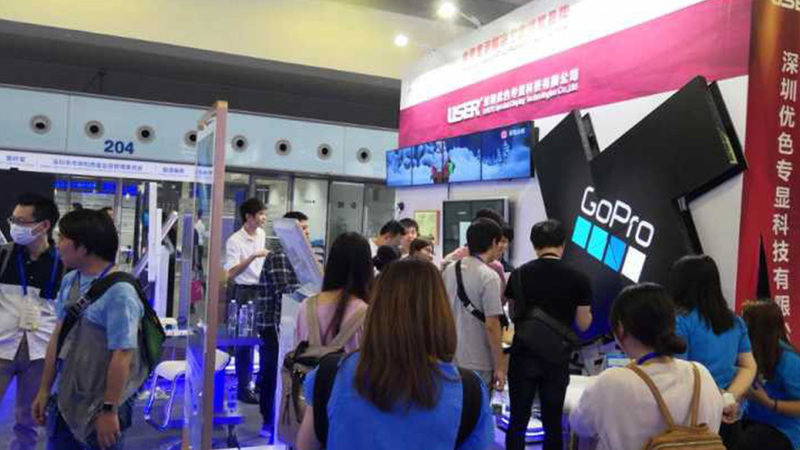 They attracted visitors queuing a long line to lay eyes on the new selfie and photo printing machine and face identify digital signage, and hologram machine, clothes trying on machines. The concept USER SDT display for smart application is to provide both high-quality image and video display machine with artificial intelligent function which brings customers with more interesting interactive experiences. Established in 2003, USER SDT is a high-tech enterprise focusing on intelligent displays , R&D, production, and marketing. and is now a leader in the mainland's LCD industry. We brings together first-class R&D elites, combine that with years of market experience and we have a high level research and development platform. With many independent intellectual property rights as well as a number of patents and products innovation awards. Presently, USER SDT can customize displays from 5-98ines. They are including: industrial LCD screens, CCTV LCD monitors, commercial advertising displays, medical LCD monitors, Touch screens, interactive/intelligent kiosks and Ultra-thin bezel video walls. It is one of the most perfect LCD commercial display enterprises in China at present with more than 13 years.